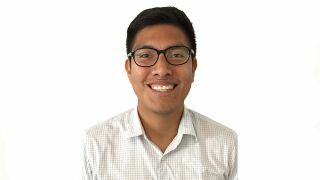 With the aim of will strengthening and completing the Riedel North America technical services department, the company has hired Alfred Monterrubio as a service and support engineer. Monterrubio joins Riedel with nearly a decade of experience in quality control and management for broadcast technology solutions. Monterrubio joins Riedel from Marshall Electronics, where he worked for nine years as quality manager in the company's Broadcast division. There, he helped bring five different products to market by developing test procedures designed to identify software and hardware failure on video and audio monitoring devices. As manager of Marshall's broadcast video and audio test lab, Monterrubio led the installation and use of a wide range of IP video equipment including video test and measurement devices. Prior to Marshall Electronics, he served as a software associate at Delphi Electronics and Safety, where he contributed to the development of software that associates vehicle movement data with lane changes, stops, and obstacles on the road. Monterrubio holds a master's degree in electrical engineering with an emphasis on digital signal processing from California State University, Long Beach, and a bachelor's degree in electrical engineering from California State University, Northridge. Monterrubio is based in Burbank, CA.